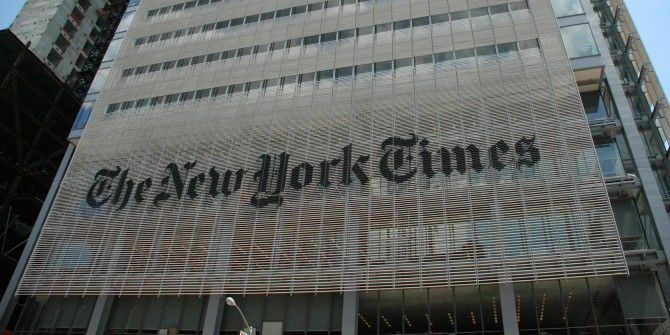 The New York Times recently introduced a new tool that makes keeping up with the newspaper’s most popular stories all that much easier. The international page features content being shared by Twitter users, together with some Instagram users to boot, giving you a one-stop shop on discovering what matters to the global newspaper reader, as well as giving you a chance to be featured yourself. The first thing you’ll see when you launch the dedicated trending page is a world map showing you articles being shared from specific locations. Right next to that is a list of the top five most shared New York Times articles on Twitter. Directly beneath that is a grid of tweets and photos from Instagram that also relate to the daily paper. The tweets feature more content coming directly from New York Times as well as photos on the image sharing app Instagram featuring the actual newspaper itself. The page is clearly an attempt to garner the New York Times more subscriptions. In the grid, there are a couple of boxes dedicated to encouraging readers to sign up for a subscription – and the small print at the bottom of the page reveals that it’s a product put together by the paper’s marketing department. That said, you can still get a lot out of the page to discover interesting articles that you might have otherwise missed. The advantage to using this page to keep up with the popular articles, and those being shared on Twitter, is that you don’t have to worry about the New York Times paywall. The paywall, which has been in place for quite a while, limits readers to only ten articles for free per month if you’re not a paid subscriber. Even if you’ve read your 10-article quota for the month, you can still read the latest being shared from the New York Times. If you want to find other ways to get around the paywall, be sure to check out our list of five ways to bypass the New York Times paywall 5 Ways To Get Around The New York Times Paywall 5 Ways To Get Around The New York Times Paywall Did you know that the New York Times spent an incredible $40 million on their recent paywall solution? Did you also know that it can be circumvented with all but a few clicks? If you're... Read More . What do you think of the New York Times’ latest offering to keep up with their presence on Twitter? Let us know in the comments.